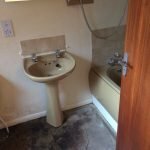 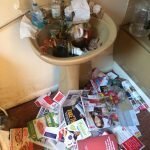 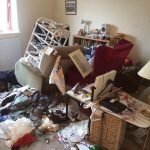 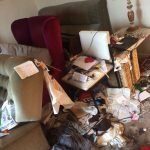 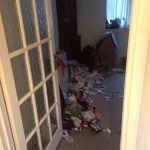 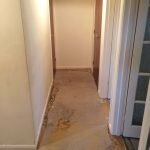 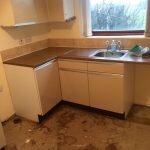 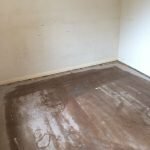 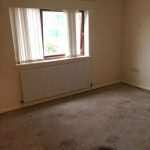 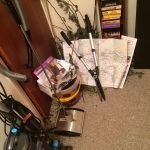 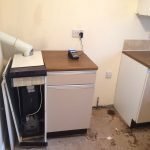 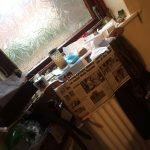 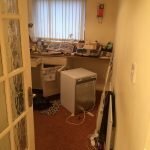 House Clearance Service In Clydebank West Dunbartonshire Dumbarton Old Kilpatrick Duntocher Gartocharn Balloch. 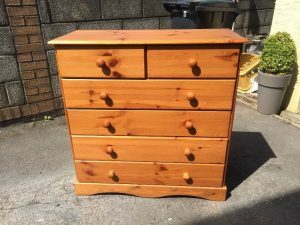 A large solid pine chest of drawers, having two small over four large drawers, each with circular knobs. 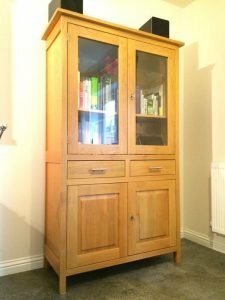 A modern solid oak and glass display cabinet, having a double glass door cupboard opening to reveal two oak shelves above two drawers and another double cupboard. 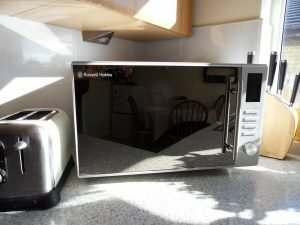 A stainless steel mirrored Russell Hobbs 20L microwave oven. 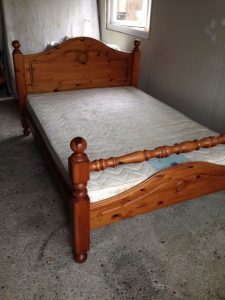 A solid pine four poster double bed frame, together with a cream silent night double mattress. 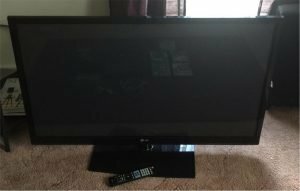 A black LG 50PK350 50 inch flat screen plasma television. 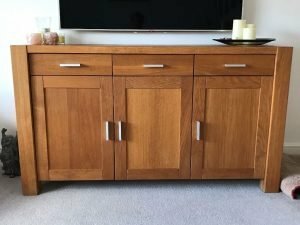 A large solid oak sideboard, having three drawers above one double and one single cupboard, with rectangular chrome handles. 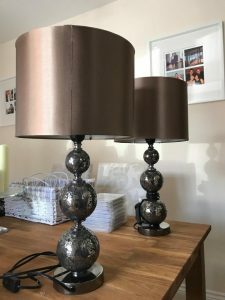 A pair of brown crackle glass table lamps, each with a satin brown lampshade. 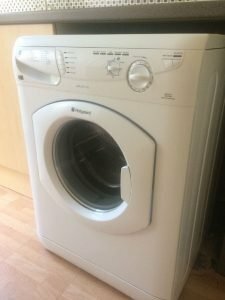 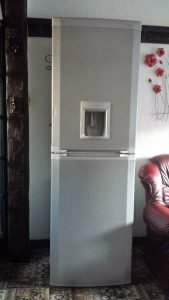 A white Hotpoint WF865 9kg under counter washing machine. 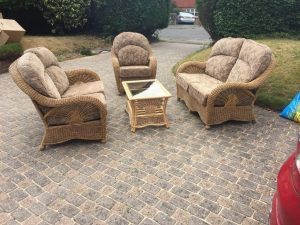 A four piece wicker conservatory sofa suite, comprising a pair of two seater sofas, a matching armchair and a glass topped coffee table. 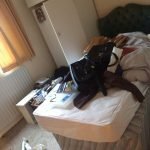 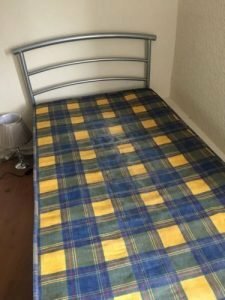 A chrome arched single bed frame, together with a single blue and yellow checkered mattress. 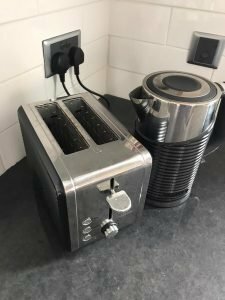 A black and stainless steel Bella kettle, together with the matching two slice toaster. 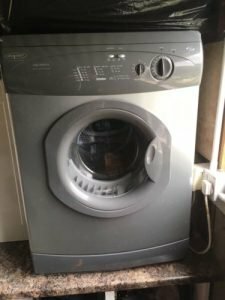 A grey Hotpoint TDL31 6kg under counter vented tumble dryer. 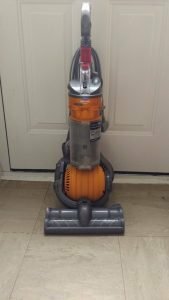 A grey and yellow Dyson DC35 ball upright vacuum cleaner. 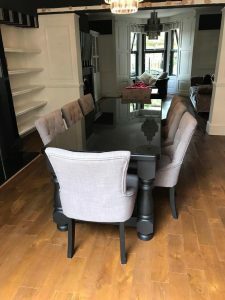 A black high gloss solid wood rectangular dining table, together with eight matching dining chairs, upholstered in pale grey chenille fabric with button back detailing. 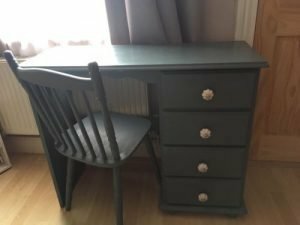 A painted dark grey solid pine four drawer desk and matching chair, the drawers having cream decorative bulbous knobs.